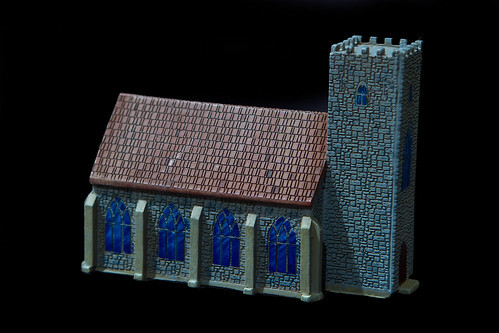 Today we are announcing the release of our 28mm Country Church. This massive 28mm model could also be used for 25mm fantasy gaming. The model measures 15″ x 7.88″ x 11.47″ tall. (382mm x 200mm x 291mm) and can be built with a removable top if you desire. An optional shingle kit and an optional stained glass window kit are also available if you want to really dress the model up. Although the assembly of this kit is very simple and straightforward I am creating an assembly video right now and it will be on the site tomorrow. Click Here to see this kit on our website. 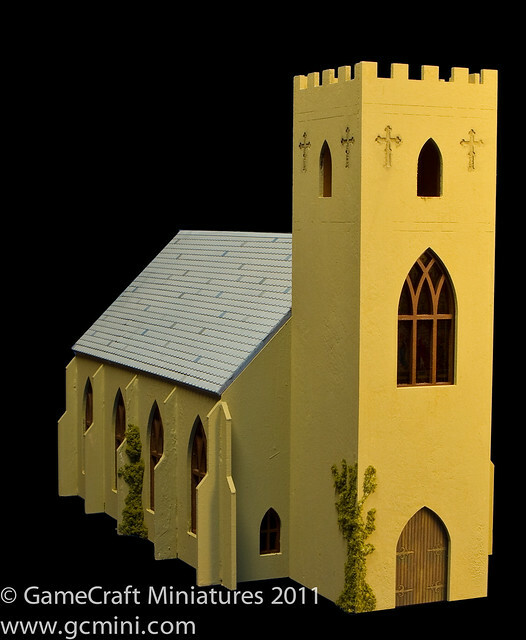 We’ve released out Country Church in 1/285th scale.